Staalmeester pointed round brush perfect for painting. Intorducing the perfect paint brush. Available in 4 different size no:3 no:4 no:6 no:7. We love bringing you the best products to use for your painting projects, and these brushes have been perfected for over 70 years in a family-run business. You can read more about them here. This unique brush has been designed with synthetic and natural bristles, it blends short natural china bristle with a longer silky synthetic bristle. 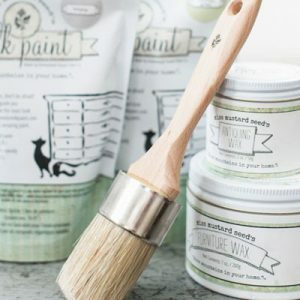 The natural bristle absorbs the paint onto the brush and the synthetic bristles allows for an almost brushstroke-free finish. These top quality brushes have a traditional beechwood handle and a coppered ferrule, and are ideal for painting for projects around your home as well was furniture. All of the round Staalmeester® synthetic blend bristles have a band of string that is to be kept intact as they give the bristles direction and perfect tension. Allow to stand in water up to the ferrule for a while until water runs clean. Hang to dry, there is a hole in the handle for this purpose. 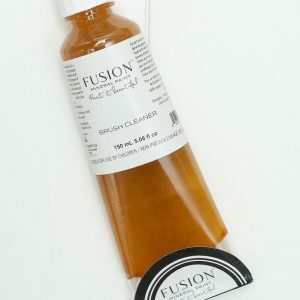 We also recommend you use a good paint brush cleaner like Fusion Brush Soap it really is conditioner for your brush and keeps them tip top. 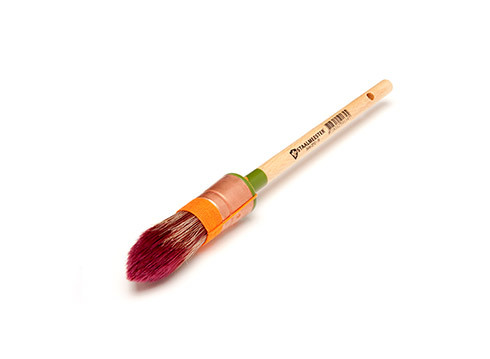 As soon as you unwrap your new brush, hold it firmly and pull on the bristles a few times to coax any loose hairs out. Then use Fusion™ Brush Cleaner to clean your brush well. Let dry and paint away! 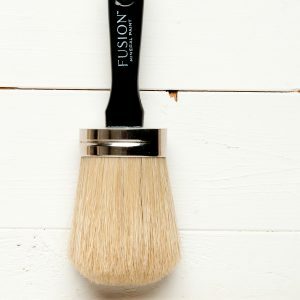 We have other brushes available in our online store including Fusion’s 2″ angled brush which is perfect for those hard to reach corners! Also in stock is a synthetic 1″ and 2″ high-quality chip brush perfect for smaller projects or for those who don’t paint often. So what ever you painting experience we have the tools for the job! Introducing the perfect paint brush. 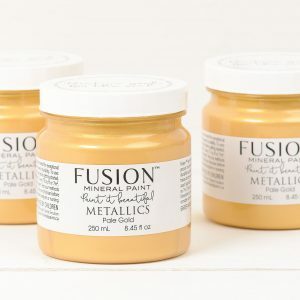 Brush Soap Fusion Mineral Paint. 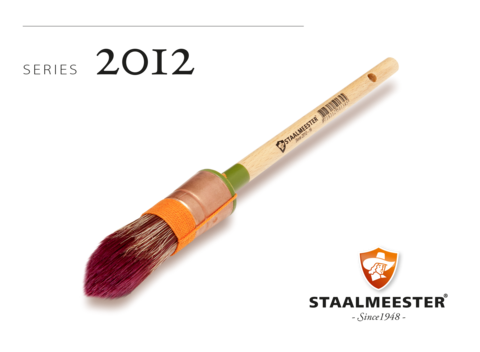 Staalmeester round brush perfect for painting.